The Russian oil company Rosneft has sold a 19.5 percent stake in the company. By doing this, they have successfully completed a government privatization plan for the state-controlled energy behemoth, The Moscow Times reports. The sale, which President Vladimir Putin termed “the largest on the global energy market in 2016,” came rather unexpectedly last night. The buyers are a consortium consisting of the British-Swiss commodities trading firm Glencore and the Qatari Sovereign Wealth Fund, and the shares are reported to be split equally between the two investors. The sale will generate $11.3 billion for the Russian budget, Kremlin Spokesman Dmitry Peskov said. According to CEO Igor Sechin, the company held talks with 30 different potential investors from around the world before making a deal. The deal is considered a major coup for the Russian government, which faces rapidly-draining state coffers amid depressed oil prices and an economic crisis. 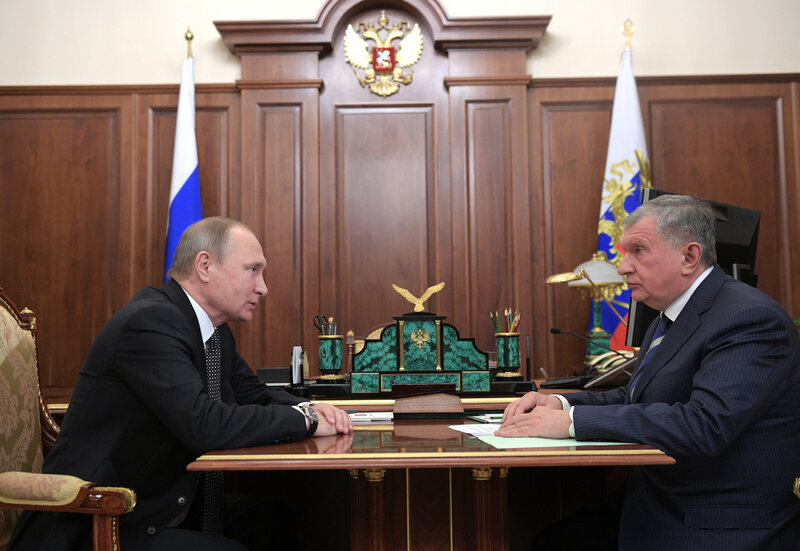 During a meeting with Sechin on Wednesday, President Vladimir Putin stressed the importance of the sale’s timing.